Spermophilus tridecemlineatus is very interactive and great other squirrels by touching their noses and lips. Communication occurs between the squirrels as well by using alarm calls and special scented secretions. These secretions are secreted from glands around the mouth which are often rubbed on objects to leave their scent. In fact the squirrels are able to produce six different call types. Two of which are used to alert other squirrels, the trill and long-purr, and the others are used to communicate amongst other squirrels in the area. Even the young produces squeaks initially to vocalize themselves and after two weeks all calls are fully developed. The other calls include: trill, purr, growl, squeak, and tooth chatter. All calls except to tooth chatter are produced via the larynx. Spermophilus tridecemlineatus is however, a prey to many predators within the habitat it occupies including hawks, badgers, weasels, foxes, coyotes, bull snakes, black snakes and skunks. Once one of these predators is sensed by one squirrel a warning call is sent out to the other squirrels in the area to notify them to get into their burrows to avoid an attack. Other ectoparasitic organisms such as fleas, lice, mites, ticks use Spermophilus tridecemlineatus as a host as well. Spermophilus tridecemlineatus is not a predator to other organisms but is a nuisance to humans especially when it comes to farming and golf course management. Farmers plant corn, wheat, oats and sunflowers, which are food sources for squirrels, and do not tolerate the agriculture crops the squirrels consume during the growing season. Golf course managers do not especially like putting up with the burrowing of the squirrels within the fairways and greens to create homes either. 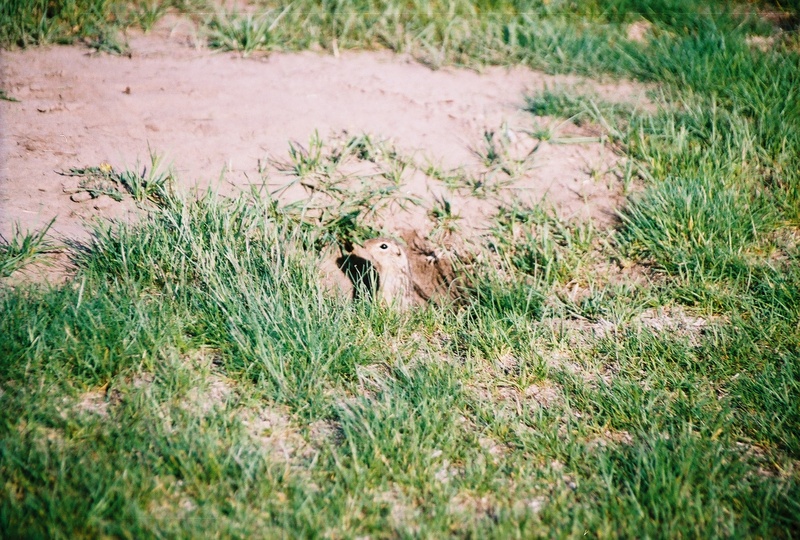 Ecologically due to their burrowing nature the soil actually benefits from this action. The digging and moving around of soil actually aids in the recycling of nutrients within. Plants are negatively impacted as well because their seeds and foliage around the plants are food sources for the squirrels.